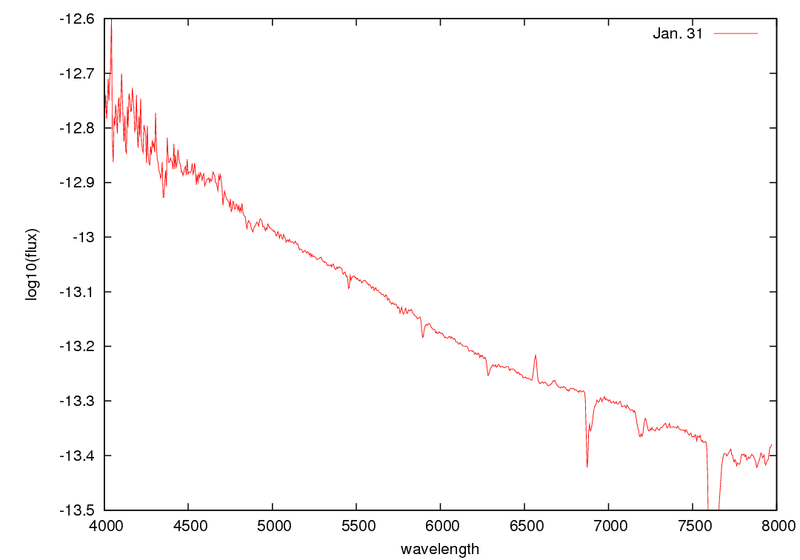 We obtained a low dispersion spectrum (R about 550) of TCP J01495677+5335018 (=XMMSL1 J014956.7+533504; ATel #3896) on Jan. 31.46 UT using LOSA/F2. The fgure shows our spectrum of the object. 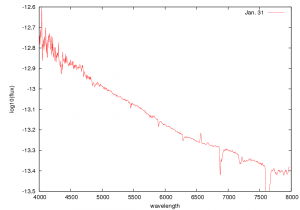 The Spectrum shows clearly a strong emisson of H-alpha, and absorptions of H-beta and H-ganmma on a blue continuum light. The absorption component of the H-beta was filled with its emission. The He I at 667.1nm emission and the Na D absorption (E.W about 0.11 nm) were also detected. These features suggest that the current brightening of this object would be an outburst phnomenon in a dwarf nova.